When James and Gitta unexpectedly crossed paths, a new journey began for them both. Much like a well-worn trail, life provides a beautiful journey of highs and lows. We smile easily from the mountaintop where possibilities seem endless. It is when we gaze up from below, unsure where our path will lead, that our optimisim is challenged. 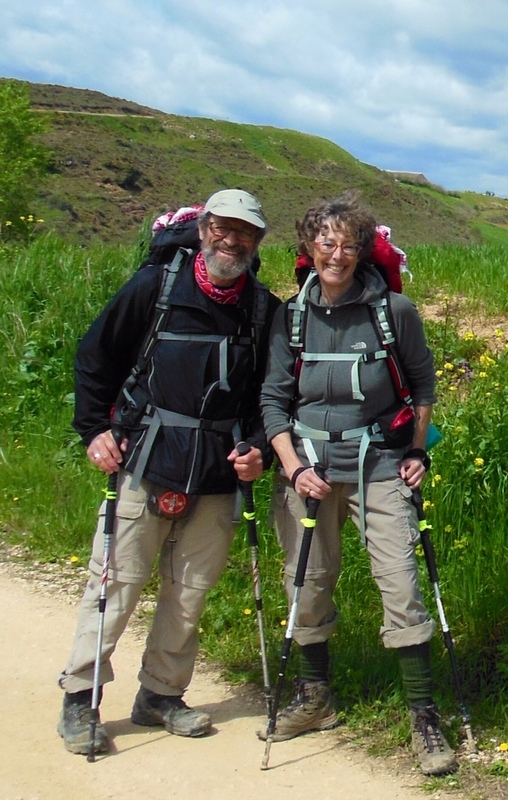 We met James and Gitta while hiking the Camino de Santiago in April of 2013. Both far more experienced walkers than we were, they taught us how to embrace the Camino Spirit…and not to walk over 12 miles each day! We learned that Gitta had completed her first Camino several years earlier, walking from her home in Copenhagen, Denmark, through to Santiago, in celebration of her 60th birthday. The trek took her six months. We were in awe! Now she was back, accompanying James as he completed the missing segment of his first Camino. As it has done for hundreds of years, the Camino continues to provide modern day Pilgrims with a sense of purpose; to ask questions, to seek answers, to reflect, express gratitude…to take a chance. One evening, James shared with us the story of what led him to originally walk the Camino, and how that chance decision changed the path of his life. It was at his late wife's burial that James' good friend suggested they walk a portion of the Camino de Santiago together. Standing at one of life's many crossroads, James immediately agreed and their plan was set in motion. Six months after their return, James and his friend made plans to attend a meeting of fellow Camino Pilgrims. However, at the last minute, his trekking partner was unable to attend, leaving James with a decision to make: Enjoy an unexpected quiet evening alone or step into a room filled with unfamiliar faces. After some thought, James took a chance and made the decision to attend the meeting solo. As luck would have it (perhaps it was destiny or the magic of the Camino) Gitta too, chose to attend that same meeting where, at some point in the evening, she crossed paths with James.